When we saw him at the jazz on Monday, Reg recommended a visit to Irlam Station. So I arranged a short notice outing, starting from the station, which is only a 15 minute drive from Timperley. After supping coffees outside the station on the warm, sunny morning, we set off basically along the route I took with Reg on 25 September 2014, adjusted for the different starting point. That link (click on the date I’ve just given) gives a bit more ‘colour’ that I’m not going to repeat in this posting. The footpath work around Great Woolden Moss has been completed since Reg and I were there. Very impressive it is too. The old (exhausted) peat beds have now been flooded and are awaiting wildlife to discover this new sanctuary. Quite a lot of wildlife has already done that. There were excellent views in the clear air to Kinder Scout in one direction and to nearby Winter Hill, pictured below. Lancashire Wildlife Trust have put up a splendid set of information boards. I’ve not seen plants trained to form an arch on a path like this before! Here’s the view across the Moss towards the Lancashire coast. Near here we met David Steel**, a chap who spends a lot of time hereabouts studying the bird life. He spoke of peregrine falcons, swallows and stonechats having been spotted today, and I believe this is an area where he brings folk who want to see yellow wagtails. There were certainly buzzards and kestrels in attendance as we passed through, and David assured us that the place is rich in bird life. Splashed everywhere are markers for ‘The Salford Trail’ – a route devised by Roy Bullock just a few years ago. The route, and its accompanying brochures, has recently been updated – mainly to handle the changes to footpaths generated by Peel Holdings’ activities. Leaving Little Woolden Moss, we strolled down a track past Moss Lodge and Red House Farms, outside which there was an assortment of miscellaneous machinery that couldn’t quite command the title of ‘tractor’! With Glazebury almost in sight, we turned left, past Moss House Farm, to join the Glazebrook Trail that runs along the east bank of Glaze Brook nearly all the way to where the brook empties its contents into the Manchester Ship Canal. Andrew took advantage of a passing bench while the rest of us stood to enjoy a cuppa (or whatever) and a few crumbs of cake left over from Postcard from Timperley’s recent birthday party. Nearby Glazebury and Bury Lane railway station was closed in 1958. It was opened on 15 September 1830 by the Liverpool and Manchester Railway, and was originally named Bury Lane. In July 1878 it was renamed Glazebury and Bury Lane. The station was one of the original passenger stations of George Stephenson's 1830 Liverpool and Manchester Railway, the world's first railway to cater for passengers as one of its primary functions. It was also arguably the world’s first inter city railway. The Stockton and Darlington Railway (S&DR) was a railway company that operated from 1825 to 1863. This was the world's first public railway to use steam locomotives. Its first line connected collieries near Shildon with Stockton-on-Tees and Darlington, and was officially opened on 27 September 1825. The movement of coal to ships rapidly became a lucrative business, and the line was soon extended to a new port and town at Middlesbrough. While coal waggons were hauled by steam locomotives from the start, passengers were carried in coaches drawn by horses until carriages hauled by steam locomotives were introduced in 1833, some three years after the line that passes through Glazebury was opened for passengers in carriages pulled by steam engines. The black soil may be good for some crops, but it seems to have taken its toll on a wide range of farm machinery that we now found littered on farmland in the vicinity of Little Woolden Hall. Alan says: “The fabrication is called "the lower frame", it is part of a 360 degree excavator. From the looks of it, it could possibly be a prototype, it looks too good to have been a replacement part. Maybe it was purchased for scrap when Fermec on Barton Dock Rd was vacated and then demolished. There must be about twenty tractors in various states of (dis)repair around here. “The Fendt with the puncture is a nice piece of kit but a bit expensive at around 70/80k to leave it idle. The yellow Fergy is quite a rare sight. It's an MF 65 in industrial yellow. They were built in Coventry and were painted red. If they went to an agricultural dealer they stayed red but if they went to a council or contractor they were repainted yellow as this one was. Hence the red front end. As the sky started to cloud over, we made our way back to Irlam Station for an excellent lunch. It’s one of a number of a great dining spots hereabouts. Thanks to Reg for the recommendation. Here’s our route, 13.5 km taking about 3 hours – very easy to navigate, and ideal for a half day stroll in countryside very close to the city centre. Thanks for coming along, everyone. I don’t often read ‘proper’ books these days, thanks to a lack of shelf space and a very convenient electronic gadget, but Nell lent me this book before we went to Canada, and I’ve very much enjoyed reading it. I still have to produce a compendium of our own visits to the South West Coast Path, which finished back in 2012, and that will have minimal literary stature compared with Simon’s offering. The Troubadour is Professor of Poetry at the University of Sheffield, and not somebody who regularly undertakes long walks. His walk is fully ‘orchestrated’ with his ‘Galapagos Tortoise’ (a giant case full of poetry books) necessarily being transported from B&B to B&B whilst Simon trots along the route with a variety of companions in a disintegrating pair of boots. The plan is to pay his way by giving poetry readings every night, after each of which a sock is passed around for donations. His starting points each day are advertised so that he gains the company of random people from the previous night’s readings, plus a few longer term hangers on such as his wife, who appears from time to time, and a chap called ‘Slug’. It’s absolutely crammed full of such prose, even when relating anecdotes about any number of situations and characters. Sue and I visited Great Grandma Dot yesterday and enjoyed an excellent lunch at the Hollybush pub. Thanks Dot. No photos were taken, but the above picture was recently posted on Facebook after a visit from Dot’s great grandchildren from Bacup. So, as she doesn’t have Facebook, I’m putting it up here for her to admire when she reads this entry. On return to Timperley, a brief bout of exercise revealed a lovely sunset. * I made that bit up! Sue and I were privileged to attend the final performance of this legendary Trad Jazz band, at Eagley Jazz Club last night. They gave a great couple of hours of entertainment with a variety of Trad and Swing era numbers, rich in vocals, with an oddity or two such as the ‘Oatcakes’ song. Apparently Pottery oatcakes (that’s oatcakes made in the Potteries, not actual ceramic oatcakes) are thin, and tasty with butter and cheese, as opposed to the Scottish variety that are best used as a floor covering substitute for linoleum. There was a memorable drum solo from Moe Green that if the audience had been a bit younger may have generated a standing ovation! Tonight’s six band members are pictured above. It was a great evening. Thanks lads. And also good to see club stalwart Reg K looking well after his cataract operations. Luckily, most of the band members play in other bands that appear at the club, so we will see them again. I don’t know how long the Band’s website will remain ‘live’, so I’ve taken the liberty of reproducing some of the content below in an effort to retain it here. This link will take you to the full version that contains details of the band’s CD releases. Mike Pembroke writes, "I wish to inform that the final appearance of the Old Fashioned Love Band will take place next Monday October 2nd 2017 at Dunscar Conservative Club (Eagley jazz club). For this farewell performance we will be joined by Mel Hill, our trumpet player for at least 12 of the 15 years that the band has existed, and who, along with Jake Reeves was a member of the previous 1960s OFL incarnation. I would just like to thank all those who have supported us during a very happy period. This obviously includes promoters, festival organisers, and particularly the fans who attended sessions and those have just bought our CDs both in the UK and other parts of the world". 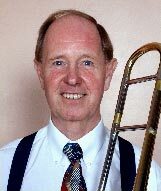 When Stockport based trombonist Mike Pembroke joined 5 Potteries musicians for a "one-off" gig in the Spring of 2002, the evening was such a success that we all agreed that it should be replicated. Too lazy to think up a name, we resurrected the Old Fashioned Love Band, a successful Stoke on Trent group of the 1960s that had featured several of us at that time. Initially we took our repertoire from the Bunk Johnson, George Lewis, Ken Colyer bands but, and it was probably inevitable with the varied backgrounds and experience on hand, that the band would broaden its musical horizons. This has been achieved without sacrificing the traditional jazz approach and has led to us adding Eddie Condon, Bob Crosby, Muggsy Spanier and Alex Welsh favourites into the fold, along with some of the wonderful swing era standards from the 1930s/40s. The band is also fortunate in having three excellent and varied vocalists. This enables us to present interesting, and entertaining programmes. Apart from Jazz Clubs we regularly appear at Jazz Weekends & Festivals, Swing Balls and give concerts in Small Theatres and Village Halls. With our wide variety of material we are also in demand for Fund Raising Events, Dinner Dances, Birthdays, Anniversaries and Corporate Events. Naturally we tailor our programmes to fit in with what is required of us to suit the occasion. Importantly we receive many repeat bookings within our working area which covers the West and East Midlands, Cheshire, Lancashire, North Wales, Merseyside and Yorkshire. We have now recorded 7 very successful CDs, the latest being "Jazz at the Jug" This offers a taste of the varied range of music that we embrace, and which has made the band so popular. 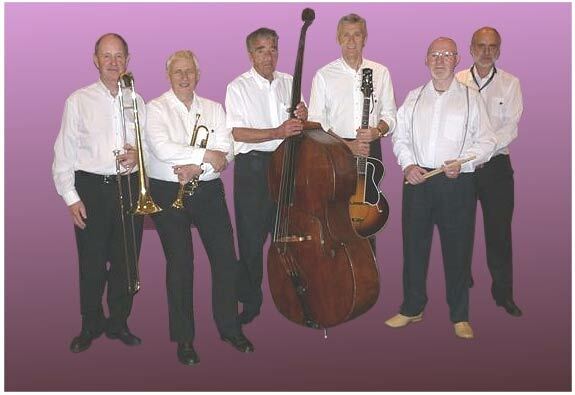 Dixieland or Swing - Come and be entertained!!! 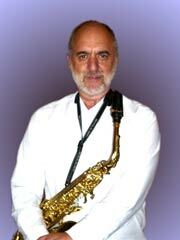 Willy started his musical career in 1966 playing cornet with a comedy jazz band, the Vintage Syncopators. He was later to join the the newly formed Mick Burns Rhythm Kings on second cornet but medical problems forced a change of instrument. After taking up the alto sax he eventually returned to the Vintage Syncopators in 1973 . He later played in a comedy act, Laughing Stock. During the '80s Willy again changed direction by going into country music but this time playing fiddle. He returned to jazz in 1998 when he joined the Temperance Seven, having depped on alto for several years previously. Upon joining them he then took up clarinet and is still regularly called upon to tour with the Temps. During recent years Willy also appears with Cafe Society and Mike Lovell's Six in a Bar. Willy has an enthusiasm for the Chicago Dixieland / Swing style that the OFLB now favours and amongst his jazz favourites are Bob Wilber and Peanuts Hucko on clarinet with Johnny Hodges and Benny Carter on alto. We welcome his musical abilities and experience as they are a great asset to any band of our style. Outside of jazz one of his interests is walking, particularly on the nearby moors and fells. 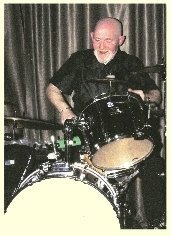 Mike started playing in 1956 as a founder member of Stockport's Dallas Jazz Band. His playing really got under way in the 1960s when he became leader of the Savannah Jass Band playing in the classic New Orleans Style. He later formed the Mike Pembroke Hot Seven which was often used by Humphrey Lyttelton as a backing band both in the North West and at London's famous 100 Club. This band undertook live broadcasts on BBC Jazz Club and also made commercial recordings for a US label. In 1970 Mike retired from music for 19 years and upon his return was asked to join Smoky City Jazz and stayed until it disbanded. The OFLB were playing in a New Orleans style when he joined up with them and he still plays this way when he appears with the Wabash Jazzmen. However the current OFLB musical policy particularly suits him as Mike's real musical love is Chicago Dixieland / Swing. He rates trombonists Cutty Cutshall and Jimmy Archey through to Vic Dickenson and Lawrence Brown as his main favourites. Away from jazz Mike loves gardening and walking the coastal paths of Anglesey to work up a thirst. Jake is another original member of the 1960s OFLB and has featured in many bands since then. His skill on both guitar and six string banjo are very much appreciated and was resident with Dave Mott at the Wilbraham Arms Alsager for many years. More recently, prior to the rebirth of the OFLB, he had been featured with Mel in the quartets, Jazz Junction and Fine and Dandy. He is a fine singer who has created a repertoire of unusual material that, strangely enough, is rarely performed these days unless by the likes of Marty Grosz and Rebecca Kilgore. Jake is an impressive rhythm guitarist who, embracing our current musical policy, has also started to display his ability to produce wonderful chorded solos. Naturally certain numbers, such as our latin rhythm specialities, are more suited to banjo. The fact that the 6 string banjo was originally used by Argentinian Tango bands is a bonus. On either instrument Jake just swings. He still continues to be a keen mountain walker and in the past has completed many challenging ranges and summits. These include peaks over 3000 feet in England, Scotland and Wales. Harri originates from Finland and was given musical encouragement at an early age by an Aunt who took him along to the Helsinki Conservatorium where he heard such classical masters as Segovia and Putilin. He started on guitar aged 7 and played in school bands until his teens when he switched to double bass. At 16 , whilst still at school, he was a founder member of the D. D. T Jazzband that appeared regularly on Finnish TV and even had a top 10 hit. When Louis Armstrong visited in 1962 they met him at the airport and were the support band on his concerts. Harri left for Germany in 1965 and came to England to study in 1966. He eventually started working in export. Due to business and travel commitments he was unable to play and did not resume his jazz career until 1990 playing with local Potteries bands. 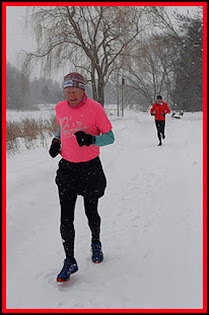 After several months of depping with us he eventually joined the OFLB in 2004. Harri enjoys carpentry and restores antiques and double basses. His favourite bassists are Ray Brown, Ron Carter, Oscar Pettiford and Milt Hinton. He gets taken for walks by his Alsatian and Rottweiler. Moe's first jazz inspiration came from hearing the Alex Welsh Band in 1955 and he joined Stockport's Dallas Jazzband in 1957. He was then poached to join the Dizzy Burton Jazz Aces and featured on an LP that they recorded for Esquire. Stints with other Manchester bands followed until he and his wife decided to move to London in 1962. He then played with Geoff WilkinsDiplomats on the trad scene until going on the road with the Back 'O' Town Syncopators. This resulted in much touring both in the UK and Europe. He eventually returned to Manchester in 1966 and joined the Zenith Six. He also played in a trio that backed Ben Webster at Club 43. He then spent several years with the Red River Jazzmen which included a broadcast on BBC Jazz Club. Moe retired from playing to become a long distance lorry driver for the next 15 years. He eventually returned to jazz in 2000 and rejoined the Red River until they disbanded in 2007. Moe's approach to jazz fits in with ours and his favourites, Jo Jones, Ray Bauduc, George Wettling and Gene Krupa have the band's approval. His other interests are photography and poetry and it would appear that he also collects hats. Sunday 1 October 2017 – Happy Birthday! It doesn’t seem like ten years since Sue and I started this blog in preparation for keeping in touch with friends and family when we went to New Zealand. Since then we have initiated about 2,800 postings, which Google tells us have received 750,000 page views and 5,700 comments. 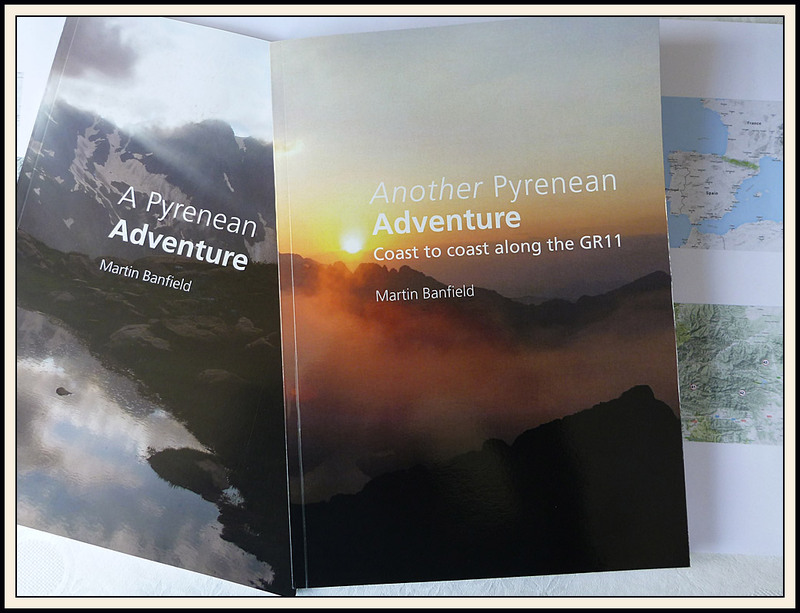 These days it’s very much my/our on-line diary, of interest mainly to friends and family, although the entries may provide a useful resource for people who are planning trips to parts of the world we have visited during those ten years. Coffee and cake was on offer, and that is what our guests consumed. It was good to catch up with a few friends after our long trip to Canada. Thanks for coming, everyone, and thanks to those who sent their apologies, especially our former neighbours, Thomas and Andrea, for whom the journey from Heidelberg was just a bit much to contemplate. We miss you. I even got to cut the cake. Later, we went to Bacup to see the grandchildren who had been deprived of our company for two months, and to deliver Lucy and Jonathan’s Spiderman puzzle present. The Perfect Angels were delighted to see us, and they thank L and J and Zachariah and Cameron for the present.